This double flared plug is made of Ebony wood. Ebony is known for its deep dark black color and is relatively heavy making them comfortable. 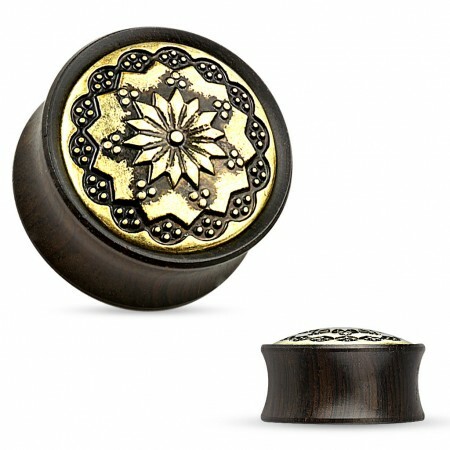 This plug is decorated with a floral pattern with slight tribal elements.